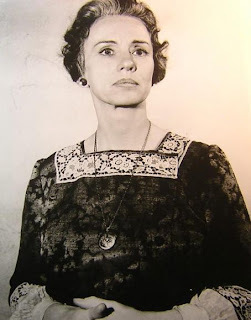 In a career that spanned seven decades, Jessica Tandy emerged as one of the greatest actresses on the 20th-century American stage. A native of London, she was born Jessie Alice Tandy on June 7, 1909. Her mother, a teacher, encouraged in Jessie a love of the arts. At a young age, she steeped herself in literature, developing a special fondness for Shakespeare. Her growing fascination with the theater led her to the Ben Greet Academy of Acting, where she studied from 1924 to 1927. At 18, Tandy made her London stage debut in The Manderson Girls (1927). A wide variety of roles followed, and by the 1930s, she was one of the leading young actresses in the English theater world. Her most notable triumphs included playing Ophelia in a 1934 production of Hamlet starring John Gielgud and Viola in a 1937 staging of Twelfth Night opposite Laurence Olivier and Alec Guinness. While working in London, she met and married fellow actor Jack Hawkins, with whom she had a daughter. In late 1940, Tandy traveled to New York to appear on Broadway in Jupiter Laughs. Because of both the war in Europe and increasing tensions in her marriage, she decided to settle in the United States permanently. Tandy, however, soon became frustrated to learn that her success in London did little to win her parts on Broadway. 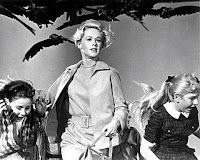 She considered giving up acting, but her friend Hume Cronyn, who was also part of the Jupiter Laughs cast, persuaded her to stay with her first love. Tandy divorced Hawkins and married Cronyn in 1942. Deciding she might have better luck in film, Tandy and Cronyn moved to Hollywood. She signed a contract with Twentieth Century-Fox, but her movie roles did little to showcase her talent. She was far better served by her part in a production of Portrait of a Madonna, a one-act play by Tennessee Williams directed in Los Angeles by Cronyn. Williams was so impressed by Tandy’s work that he insisted she be given the lead role in his new Broadway play, A Streetcar Named Desire (1947). Originating the role of fading southern beauty Blanche DuBois, Tandy at last achieved stardom in the United States. Although she won the Tony Award for best actress for her performance, she lost the role of Blanche in the movie adaptation to VIVIEN LEIGH. “I was disappointed and hurt,” Tandy later told the press, “but I wasn’t a film star. Vivien Leigh was.”Tandy parlayed her newfound fame into a long career on and off Broadway and in regional theater. She and Cronyn also became closely associated with Minneapolis’s Guthrie Theater, which was founded by a friend of Tandy’s from the London theater. 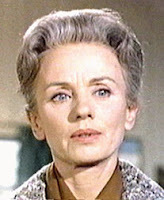 Although Tandy often appeared in plays on her own, much of her finest work was in productions that also starred her husband. Tandy and Cronyn were particularly celebrated for their performances in Edward Albee’s A Delicate Balance (1966) and D. L. Coburn’ s The Gin Game (1977). For her work in The Gin Game and in Foxfire (1982), Tandy won her second and third Tony Awards. Finding the rigors of theater acting difficult as she aged, Tandy stopped performing on stage in the mid-1980s. She then returned to acting in films, including the popular comedy Cocoon (1985) and the Academy Award–winning Driving Miss Daisy (1989). In Daisy, Tandy was cast as a wealthy southern woman who develops a longterm friendship with her African-American chauffeur. Her sensitive portrayal won her the best actress Oscar. To new fans unfamiliar with her stage work, Tandy became an “overnight sensation” that had been more than 50 years in the making. Tandy continued to appear in films, most notably Fried Green Tomatoes (1991) and Nobody’s Fool (1994), until her death from cancer on September 11, 1994. 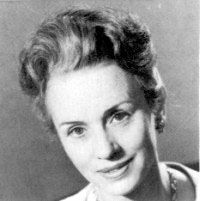 Barranger, Milly S. Jessica Tandy: A Bio-Bibliography. New York: Greenwood Press, 1991. Kalfatovic, Mary C. “Tandy, Jessica.” In American National Biography, edited by John Arthur Garraty and Mark C. Carnes, vol. 21, pp. 294–296. New York: Oxford University Press, 1999. Driving Miss Daisy (1989). Warner Home Video, DVD/VHS, 1997/2001. Fried Green Tomatoes (1991). Universal, DVD/VHS, 2000. 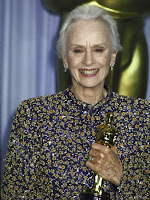 Intimate Portrait: Jessica Tandy (1999). Unapix, VHS, 2000.